my 3rd wallie ever since i finished my summer class... still not done with my other wall im working on about vectoring and im still learning, so that has to wait. Anyways, i saw this nice vector at MT, by Ayasal... and i started to make this wallie (\_/).. Thanks to sandbox people fom MT and SZ people from AP from all the help i got... i really appreciate it. Nice wall.. I really like what you did with the vector. The scene looks beautiful. 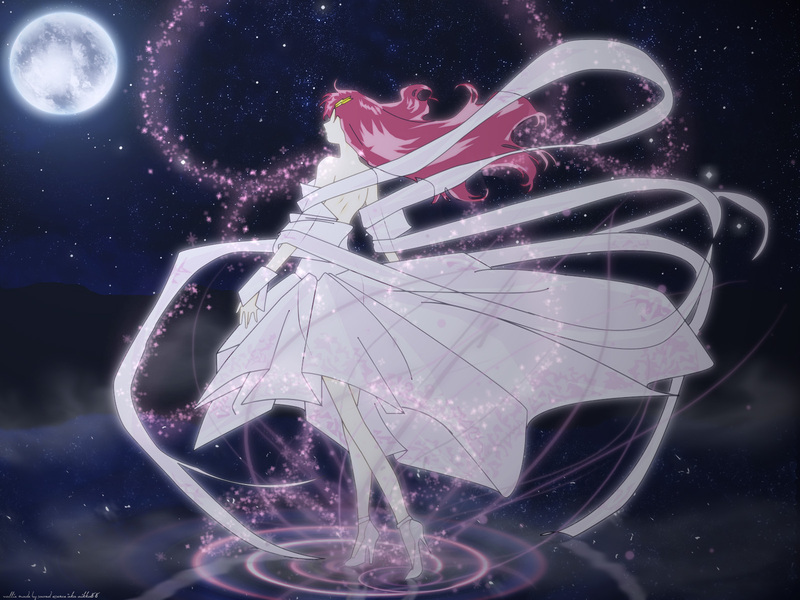 Although the thing I don't really like is the brushwork around Lacus's feet. Other than that, good job :) Keep it up! its beautiful. looks like a dream kind of wall and the scene is nice too. continue making walls like these! Very beautiful. And yeah, it does remind you of a dream. The picture is very nice! wow, i really like the idea! the darkness and her dress really work together! it's kind of mysterious since you can't see her face; cute =) nice job! Beautiful wallpaper this is........its so lovely. Sooo pretty! It's hard not to be with Lacus in it but still, you made it kinda surreal. Thanks!